During the tour, the inspection team found…some problems, mainly: “four consciousnesses” need to be further strengthened; political discipline and political rules are not implemented strictly enough; the leadership role of the Party group is insufficiently developed; there are some gaps in the coordination of the advancement of the system of judicial system reform; the implementation of responsibility system for ideological attitude (意识形态责任制落实不够有力); there are weak links in Party construction; organizational construction is not systematic enough; internal Party political life is not strict enough; relevance of ideological political work is not strong; some Party leading cadres’ Party thinking is diluted (有的党员领导干部党的观念淡漠); the role of the basic level Party organization as a fighting fortress is insufficient; comprehensive strict governance of the Party is not strong, the implementation of the central eight point regulations is not strict enough; formalism and bureaucratic issues still exist; tourism using public funds, abuse of allowances and subsidies still occurs; personnel selection is not standardized; cadre management is not strict enough; there are some areas of clean government risk. The report revealed that some cases have been referred to CCDI and the Party’s Organization Department for further handling. President (and Party Secretary) Zhou Qiang accepted the criticism and promised to deal with it. A separate report revealed that a rectification strategy has been adopted and an office established to implement measures to respond to the criticism. It is difficult, if not impossible for this observer to have independent sources of information on the implementation of political discipline, political rules, and ideological work in the SPC. It does appear (to the outside observer) from the constant flow of judicial reform documents, judicial interpretations, judgments (and rulings), and the many other documents released by the SPC, that the large number of SPC judges and other support personnel have been professionally extremely productive. One criticism that I had heard before was about coordination in the judicial reforms. As to why some reforms were rolled out before others, the reasons are likely complicated and relate to what was ready to go and generally accepted. As to the implications one reform has on other reforms or the existing system, that is much more difficult to analyze, particularly if (as I suspect), the SPC’s judicial reform office does not have enough people to cope with the complexities of implementing judicial reforms in a highly bureaucratic state. On the cases of violation of Party discipline revealed, it would appear that they were limited in number and apparently limited (for the most part?) to minor infractions, such as fiddling with subsidies and using government cars for private purposes. In a large bureaucracy such as the SPC, it seems fair to assume that a few infractions are likely to occur. It seems reasonable to surmise that these cases will be wrapped up swiftly, before the upcoming National People’s Congress session, and we will learn more about the specific cases. The nine presiding judges of the #2 Circuit Court are whom Chief Judge Hu Yunteng calls “The Nine.” It could be: 1) Judge Hu is a fan of the Jeffrey Toobin book on the (US) Supreme Court, which has a Chinese translation thanks to Judge He Fan; or 2)he wants others to know that he has some basic knowledge about the US Supreme Court. (For the avoidance of any doubt, this does not mean Judge Hu is looking to transport the US judicial system to China). The role and utility of China’s circuit courts have moved into public focus with the establishment of four additional circuit courts (discussed earlier). Some have commented that they have been established just to divert petitioners from Beijing.An article published by a European think tank commented that the circuit courts weaken the power of local judges and courts in the provinces. But when analyzing what Chinese courts do and how they operate, moving away from grand theory and into the specifics of what they do provides (to this foreign observer and I trust Chinese ones as well) more nuanced insights. 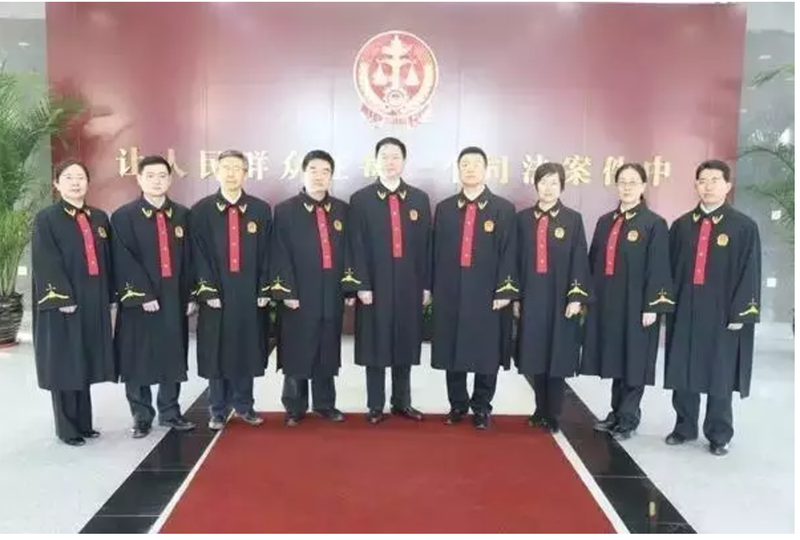 It helps to understand better what the circuit courts are doing, how Chinese courts operate, how Chinese judges think, and what practical solutions Chinese judges evolve in the context of their political, legal and social environment. What exemplifies this is a report that the #2 Circuit Court did on petitioning appeals related to criminal cases (第二巡回法庭刑事申诉来访情况分析报告). The report concerns petitions for retrial made under the Criminal Procedure Law’s trial supervision procedure. While the full report does not seem to be easily available, Chief Judge Hu Yunteng summarized some of what appear to be the main findings of the report in a June, 2016 interview with 中国审判 (China Trial), a SPC journal and Wechat account. The audience for China Trial is primarily his brother and sister judges, so his comments were relatively frank and the legal context about which he was speaking would be taken for granted. His comments, which I am summarizing below, reflect the insights of someone who lived through the Cultural Revolution, and has worked at the intersection of legal research and judicial practice for many years. (His Chinese profile is more complete than the English one). He said that his remarks were drawn from his experience in hearing nearly 200 cases at the #2 Circuit Court, the majority of which were criminal petition cases (刑事申诉)(cases retried under trial supervision procedures). The cases, he said, reflect issues with criminal cases both at first instance or on appeal, as well issues all courts face coping with criminal petitions. Moreover, he said, the #2 Circuit Court (and SPC headquarters) have more and more petitioners seeking redress, plus an ever increasing backlog of cases. People have been petitioning for a little as 3-5 years, long as 10-18 years, or even 20-30 years, clocking over a hundred visits. Over 700 petitioners visited the #2 Circuit Court with grievances about the decisions of the Liaoning Higher People’s Court. Judge Hu gave his views on why are there so many of these cases and what should be done. A summary of Judge Hu’s analysis follows below, with some comments in brackets. “The reasons are complicated.” He believed that the number of mistaken/unjust cases were small in number, and 90% of the petitioning cases involved cases decided properly, with 9% with some errors, but only 1% with errors serious enough for the case to be re-tried. The reasons, he believed, lay deeper. Defects in the criminal procedure system. It has a two instance system, with the second instance as final; time limits on hearing criminal cases; and criminal petitioning system. With societal change and ordinary people have greater legal consciousness and demands for justice. This criminal procedure system is incompatible with current societal demands (这些制度已经不能适应新时期的需要). In some areas of China, there are more petitions from second instance decisions than appeals. Most jurisdictions, whether common law or continental (including Hong Kong and Macau) have a three-instance system, and if China does not change this and have a limited third instance system, the criminal case petitioning problem will not be solved. The strict time limits mean facts are not clarified, a good job is not done at trial, and case quality is not maintained, creating errors that causing petitioning. The lack of time limits on petitioning is a major reason that it exists. [Note: Judge Hu saying this does not mean the Chinese government will change its system immediately or in the near future. His voice is a powerful and persuasive voice identifying this as a core reason for so many petitions, but this must be understood within the context that he said it. This is his analysis, not a signal that the Chinese government will change its criminal justice system immediately. 3. Changes in the legal and social environment. These are another set of reasons for so many criminal petitioning cases.Judge Hu said, actually, the increase in criminal petitioning isn’t an entirely bad phenomenon. It is part of the process in improving the rule of law. The state respects human rights more and people are more aware of their rights and are increasingly daring to defend their rights.Moreover, societal public opinion has encouraged people after they have read in the media that mistaken/unjust cases have been corrected. Moreover, criminal punishment for the same offense has varied greatly, depending on whether it was during the “Strike Hard” or other campaigns, so when people look from today’s perspective at these cases, they feel it is unfair. Judges dealing with these cases need legal knowledge and political wisdom. According to law, petitions should be submitted to the court that heard the case originally. The case filing or trial supervision departments of these courts should seriously review the cases, if there is an error, retry the case on the court’s own initiative. If the case lacks errors, the facts and law should be explained to the petitioning party. This is assuming responsibility to the facts, law, parties, and people. The higher courts need to do a better job of supervising the lower courts. Courts need to balance respect for effective judgments with a party’s petitioning rights. Courts should determine whether the issue is procedural or substantive. Cases can’t be rushed–some can be dealt with quickly and others not. Higher courts should take on more difficult and complicated cases themselves. Petitioning cases should be heard by three judge collegial panels, by reviewing the file and questioning persons if needed, questioning the party and if he (she) is in custody, summoning him for questioning, hearing the views of the party’s lawyer if one has been appointed and making contact with the party and his lawyer an important way to deal with these cases. Moreover, the lower courts should appoint more qualified and experienced people to handle criminal petitions, as it is often not currently the case. As some of these cases relate to a specific time period, sometimes it is necessary to work with the higher or lower courts, or seek support from the government or Party to deal the matter. For example, some cases were correctly decided at the time, but the decision is no longer appropriate under current circumstances. Retrial is not possible but coordination is possible through the implementing authorities [presumably the jail] or procuratorate. 36. Reform the system for petitioning involving litigation.Improve mechanisms for the separation of petitioning and litigation work, clarifying the standards, scope and procedures for separating litigation and petitioning. Create finality mechanisms for petitioning involving litigation, standardizing the sequence for petitioning involving litigation in accordance with law. Establish mechanisms for steering and receiving petitioners at their source, and innovation networks for handling petitioning. Promote the establishment of a system for lawyer representation of in complaint appeals cases. Explore the establishment of mechanisms for lawyers to participate as third-parties, increasing the diversity of joined forces for resolving conflicts in petitioning related to litigation. Presumably Judge Hu has sought to implement some of his own recommendations, such as requiring his own judges to do a better job receiving petitioners, and expecting the lower courts to do the same. It is likely that Judge Hu has made his views known in meetings with judges from Liaoning, Jilin, and Heilongjiang. So this appears to be one piece of evidence that the circuit courts are having an effect on the quality of justice delivered. Since petitioners “vote with their feet,” it appears that one indicator would be a downturn in the number of petitioners with grievances about criminal cases in the Liaoning Courts. How his report and recommendations will be considered nationwide remains to be seen. As a member of the SPC’s judicial committee, his full report and more detailed recommendations are likely to have an impact on the thinking of SPC colleagues. As to the larger issues Judge Hu has raised, we are unlikely to see any immediate or short term impact because of the complex politics linked to those reforms. While Zhou Qiang’s statements on judicial independence, mistaken “Western” thinking, and separation of powers continue to be discussed inside and outside of China, others in the Chinese legal community face more prosaic and difficult issues of how to protect workers when companies go into bankruptcy. This is a particular issue in the northeastern provinces, particularly in Liaoning. According to statistics released in the past month (January, 2017), there were 345 other bankruptcy cases accepted by the Liaoning courts, aside from the bankruptcy of Dongbei Special Steel, which has received the lions share of attention outside of China. While strikes are regularly reported in the English language media , what is not known that in many of these bankruptcy cases, employees have gone to court. 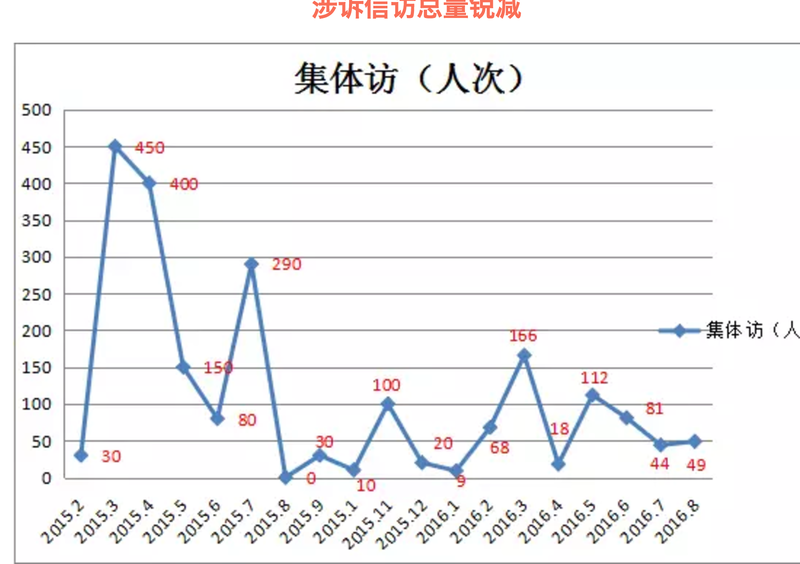 A research report by the Liaoning Higher People’s Court (Liaoning High Court) recently released in the People’s Court Daily (the Supreme People’s Court’s )SPC) newspaper, giving the report the SPC’s semi-official imprimatur) drilled down on 79 labor cases related to enterprise bankruptcy that arose in 2015-16. The Liaoning High Court did not specify the overall number of bankruptcy-related labor cases the provincial courts accepted. A quick search reveals several hundred, the exact number depending on how the search is framed. The research report provides a glimpse into the concerns of the judiciary, involvement of counsel in these disputes (a more general report on representing workers was recently published, available here), inadequacies of related legislation, and chaotic record keeping of these companies. The report identified the top issue to be the re-employment of workers, citing two large scale bankruptcies, the Hongmei Group (MSG manufacturer) and Badaohao Coal Mine. (A 2014 social media posting criticized the Hongmei Group’s violation of labor law). 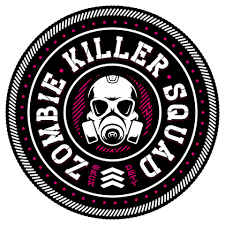 A second issue was that bankruptcy caused group labor litigation, particularly by senior staff, who were more highly paid, and older, but faced difficulties being reemployed (and likely had the funds to hire a lawyer). The report noted that this group had overly high expectations from litigation and if their individual claims were not supported by the court, they would resort to group litigation or petitioning.The research report mentioned, with a positive spin, that labor lawyers were involved to resolve disputes. The litigants raised more varied claims rather than simply wages, including: damages; determination of a labor relationship; social insurance; work-related injury; wages and status; etc., as shown by the chart below. Unlike ordinary labor cases, most cases were decided by court judgment, not mediated. In 66% of the cases, the plaintiff’s claim was upheld in whole or part, with a dismissal of the plaintiff’s claims in 28% of cases. The report also illustrates the importance of social stability related procedures. 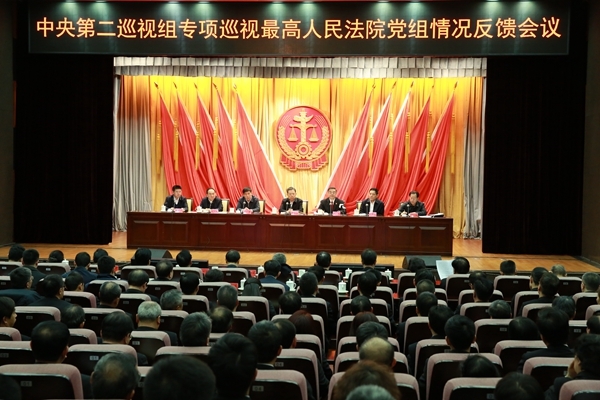 Although a Chinese law firm partner criticized as quite vague and incompatible with the existing labor law system the requirement in a 2016 State Council policy document that a worker resettlement plan (for certain industries) be approved by the workers’ congress or all workers, this is not new and is taken seriously by local judges. The requirement is contained in Liaoning provincial level legislation (and other legislation) and compliance was noted by the research team. (The team noted that after the resettlement plan was approved (for Hong Mei Group and Badaohao Coal) was approved by the workers congress, it was reported to the local labor and union authorities authorities. Compliance with labor law related formalities, by both companies and employees created problems for judges hearing these claims, such as in work-related injury cases, where companies failed to pay legally required wages to employees and employees failed to submit needed documentation. Some of the companies continued to pay employees under old “planned-economy” systems rather than comply with current labor law, requiring employees to work overtime without overtime pay, a particular issue in the Badahao Coal Mine bankruptcy. Inadequacies of legislation highlighted by the team included: how to characterize labor claims in bankruptcy, and whether they should be treated as labor disputes or claims against the bankruptcy estate; whether labor disputes needed to be submitted first to labor arbitration; how the courts can better obtain files from labor arbitration authorities and can ensure labor disputes are addressed and not avoided; and how to ensure that bankrupt enterprises pay social insurance payments for their employees. This report contains a disturbing signal about the disposal of assets of bankrupt companies. This is significant because the government is promoting the use of bankruptcy. The report recommended that the liquidation group effectively dispose of tangible and intangible assets of the bankrupt companies such as coal mines and well-known trademarks, and implement better supervision and management, to ensure that the realization of bankruptcy assets to maximize the protection of the employees. It appears that employees of the bankrupt companies are the ones who suffer the most when these cases are not handled fairly.As the research team recognized, employees are the weaker party. The team recommended that local government provide a coordination mechanism and funding to secure the workers’ claims against the company, so that the company can withdraw from the market but overall societal interests are balanced. Whether local Liaoning governments do so remains to be seen.